Caridad de la Luz (also known by her nom de poésie et de musique La Bruja), shown at right, will be one of the headliners of The Femcee, a showcase of female hip hop artists. She will perform on a bill with Rah Digga, Queen Herawin, Nemiss, Dama Nilz, Ma Barker, LG (Team Genius), among others. The concert will take place on Tuesday, December 16, 2014 at Santos Party House in Manhattan's Loisaida neighborhood. In addition, she will perform a New Year's Eve concert with Chembo Corniel at the world famous Nuyorican Poets' Café, also located in the Loísaida area of Manhattan. Alexandra Manzano booked a print ad for Cutie's diapers. Ernesto López is directing the LoMA Theater Ensemble production of House of Bernarda. 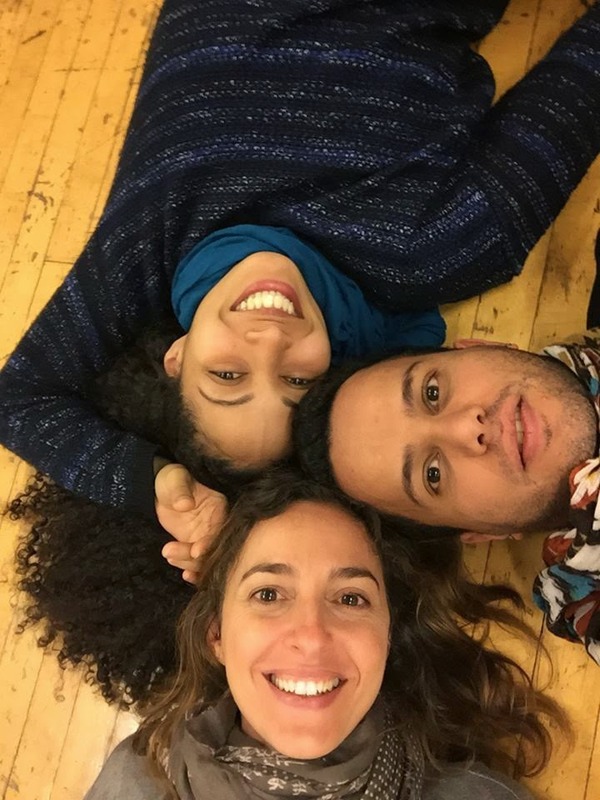 Adapted from the Federico García Lorca classic play The House of Bernarda Alba by López, the production will take place in December at the Lower Manhattan Arts Arts Academy, located in Manhattan's Loísaida neighborhood. E3Outlaws Productions will present Federico García Lorca vuelve a nacer. Written by Rodolfo Braceli and directed by Raúl Rivera, the production stars María Fontanals, María Cotto and Enmanuel García Villavicencio (an all-HOLA cast, shown clockwise from bottom in the photo at left), was brought back for a command performance after running in November as part of the eARTh Theater Festival/Lorca Al Desnudo II. It will be performed in December at the Roy Arias Studios and Theaters, located in the theater district of midtown Manhattan. Carlos Carrasco directed the short film Let Me Finish... (written by Eliot Bailey). Starring Mark Bramhall and Kent Minault, the film is currently hitting the film festival circuit. Ricardo Bacallao will be screening his short film The Butterfly's Kiss at The William V. Musto Cultural Center/Union City Museum on Thursday, December 18, 2014. For more information, click here.